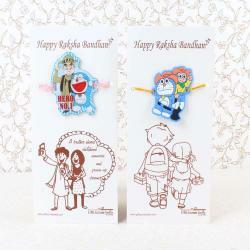 Product Consists: Ben10 and Ganesh Krishna Rakhi for Kids nicely tied on a Designer Card. Get ready to send the Kids rakhi sets, start searching on our Rakhi store to get best Rakhis as Giftacrossindia.com is such a promising online gifting site. Rakhi is a festival celebrating and honoring sibling love affection between brothers and sisters. Honoring this ancient festival of morals and self-sacrificing love, we designed this rakhis for all younger brothers in some funny way with pampering and care that equates sisterly love. 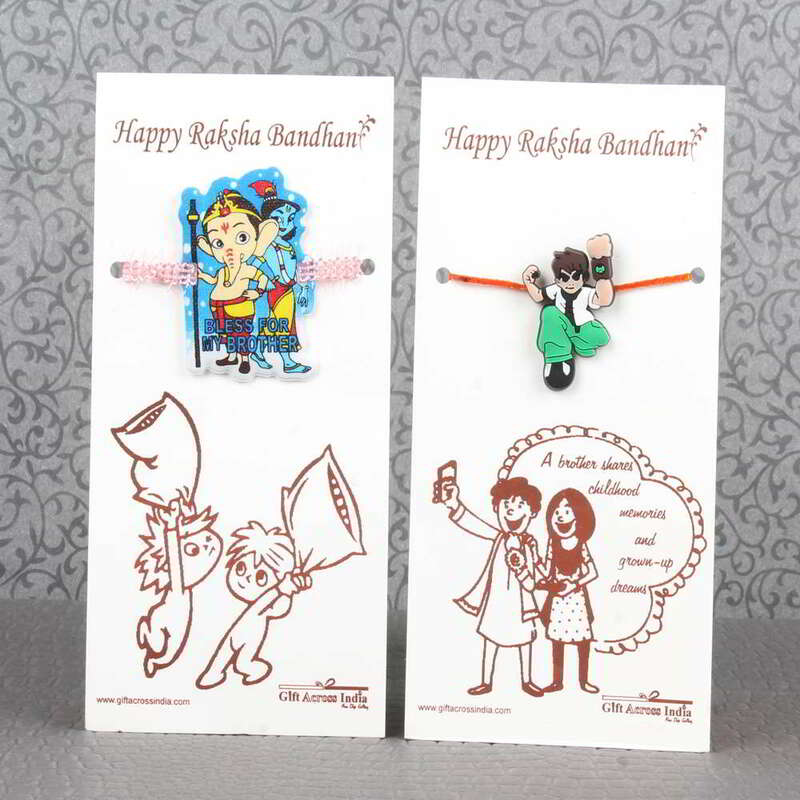 Basically Kids are quite excited about fancy cartoon character rakhis for Raksha Bandhan celebration. Tie this beautiful set of two kid's rakhi on your naughty little brother's wrist and let them enjoy and cherish this special day. Shop Kids rakhi online now, we have the cheapest range of Rakhis combo especially for you. 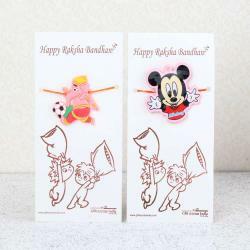 Product Includes: Ben10 and Ganesh Krishna Rakhi for Kids nicely tied on a Designer Card.